The Beethoven Academy Orchestra is one of Poland’s leading symphony orchestras of the young generation. It is made up of music aficionados – the most outstanding students and graduates of European higher musical education institutions. 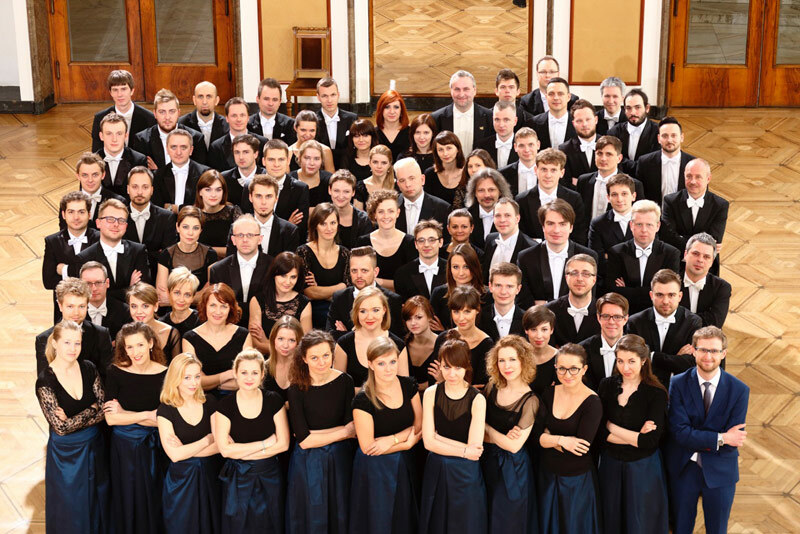 In 2005, on the initiative of Elżbieta Penderecka, the orchestra debuted at the 9th Ludwig van Beethoven Easter Festival in Warsaw, which resulted in excellent reviews and invitations to prestigious festivals at home and abroad. The orchestra has seventeen albums to its credit, recorded for such labels as DUX Poland, Centaur Records USA, Le Foxx Music and Universal Music. The ensemble has also signed a contact with the reputable record company EMI London KPM, for which it records regularly. The BAO also plays entertainment and film music classics. It has recorded soundtracks for such giants as Warner Bros and Monolith, collaborated with Hans Zimmer, Elliot Goldenthal, Michał Lorenc and Jan A. P. Kaczmarek, and recorded the platinum-winning album Siedem Pieśni Marii (Universal Music). Since its inception, the orchestra has been under the artistic and organisational care of Marcin Klejdysz. 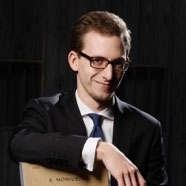 Together with Elżbieta Penderecka, he has created a modern and non-institutional style of management of a large group of artists, which in combination with collaboration with numerous milieus and regular partnerships has guaranteed the orchestra an intensive and regular concert season for almost twelve years. The orchestra has worked with some of the greatest authorities of the art of conducting, composers and soloist, including Krzysztof Penderecki, Gabriel Chmura, Michał Dworzyński, Łukasz Borowicz, Cristiano Vasquez, Steven Isserlis, Krzysztof Jabłoński, Aleksandra Kurzak, Małgorzata Walewska, Aleksander Kobrin, Konstantin Scherbakov, Ingolf Wunder, Christian Lindberg, Oystein Baadsvik, and Kevin Kenner, testimony to its top class. The BAO has been a regular guest in prestigious concert halls such as Darmstadtium, Alte Oper Frankfurt, Konzerthaus Dortmund, and Gasteig Munich, and between 2009 and 2013 it performed the series of subscription concerts Musik der Meister in the legendary Musikverein Golden Hall. In 2014, the BAO made its appearance at the Ludwig van Beethoven Easter Festival, the 4th Polish Music Festival in Moscow, the Last Night of the Proms in Krakow, and the 100th anniversary gala of the ASCAP during the Film Music Festival. Since 2011, the BAO has been a resident orchestra in Darmstadt. Thanks to the support of the Ministry of Culture and National Heritage, it has organised several dozen educational concerts. It also inaugurated the opening of Krakow Arena with the “Pixar in Concert” event for 16,000 young spectators. Currently, the orchestra is involved in the sixth edition of its original project promoting Polish music Jeszcze polska muzyka, and the fourth edition of the International Conducting Master Classes. Since 2013, by invitation of the BAO artists, the post of the orchestra’s principal conductor has been held by maestro Jacek Kaspszyk. The official promoter of the Beethoven Academy Orchestra is the Ludwig van Beethoven Association. 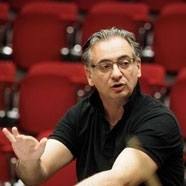 At the concert in Lublin, the Beethoven Academy Orchestra will be conducted by Maestro Yannis Pouspourikas.